The town of Fatima, located in central Portugal, has become a beloved stop for any Catholic pilgrimage. Well known for the appearance of the Virgin Mary in 1917 to three young children, this tour stop has continued to draw Catholic pilgrims year after year. In the spring of 1916, three shepherd children were herding sheep at the Cova da Iria near their home village of Aljustrel in the parish of Fátima, Portugal. Lucia (age 9) and her cousins, Francisco and Jacinta Marco were tending their sheep when they saw an apparition of an angel. She appeared to them three times and identified herself as the "Angel of Peace" and the "Angel of Portugal." Each time she taught the children about prayer, making sacrifices, and encouraged them to spend time in adoration of the Lord. In May 1917, the children reported seeing apparitions of the Virigin Mary who the children named the "Lady more brilliant than the sun." During these visits, the children received prophecies of the end of World War 1 and instruction on prayer and faith. The apparition told the children that she would return on the 13th of each month. As word got out, more and more people began to arrive to see the visions and miracles. Thousands of people started flocking to Fatima on the 12th of each month to prepare for the monthly apparition. On October 13, 1917, Our Lady of Fatima returned with her most miraculous visit to date. After a rainfall, dark clouds broke and the sun appeared as a spinning disc in the sky. It appeared dimmer than usual, while casting multicolored lights across the landscape and the people. After this, the sun careened toward earth before returning back to it's position in the sky. Pilgrims present explained that their wet clothes from the sun were suddenly and completely dry. The reported Miracle of the Sun made Fatima a destination for many Catholic pilgrims. A small chapel was built on the site of the apparitions. Today, the Shrine at Fatima is one the most important pilgrimage sites, drawing visitors from all over the world. Thousands of pilgrims make their way to Fatima on foot to visit the site of the Miracle of the Sun. As you enter Fatima, you'll see the 65 meter tower of the Basilica of Our Lady of the Rosary of Fátima. The Shrine is sandwiched between the Monument to the Sacred Heart of Jesus and, on one side, and the Chapel of Apparitions, located at the exact place where the young shepherds first encountered Our Lady. The Most Holy Trinity Church – Lesser Basilica has a more modern architecture style and can hold 8,700 people. The basilica was designed by a Greek architect Alexandros Tombazis. 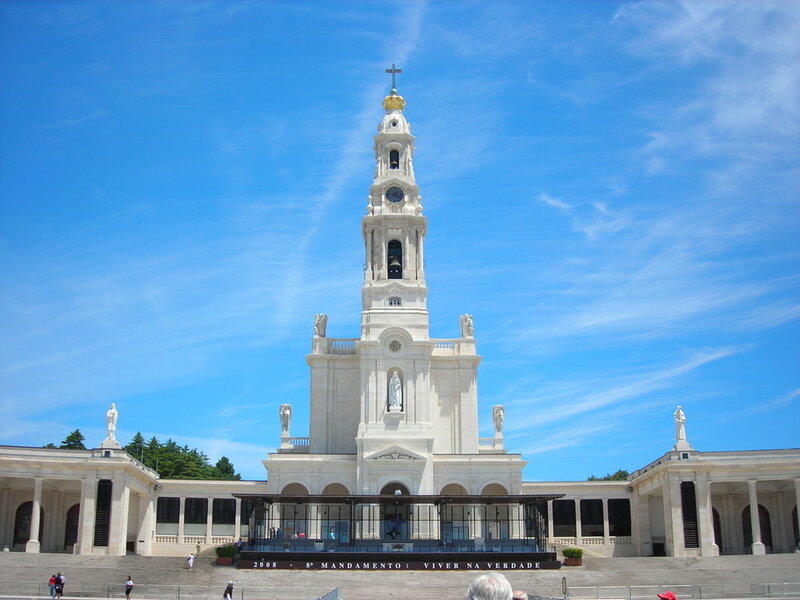 In addition to visiting the shrine, Fatima is also home to the Museum of Sacred Art and Ethnology, the Wax Museum, the 1917 Fátima Museum and the Animated Nativity Scene and Village of Bethlehem. Visiting Fatima will be a rewarding stop for any pilgrim seeking to grow in their faith and experience the rich history of Our Lady of Fatima.